For years, I have been possessed by a dream to help members of our Association realise their “true potential” in their respective surgical specialities and make ASI, a vibrant, academic body. ASI has the potential to become the platform to standardise the training and skills development of young surgeons, raise the standard of Surgical Care across the country and ensure maintenance of proficiency. In today’s era of general distrust towards the doctors, it is imperative that guidelines be formulated so that we all speak the same language. The only way to achieve these goals is through strengthening our Association of Surgeons of India. These missions have been converted into “actionable projects”, each of which is being piloted by one or more E.C. member as “project lead” for achieving results in a time bound manner. I take this opportunity to share the missions and the various projects with our esteemed members to request them to own these projects and contribute to their success. Together, we can realise the dream of making ASI a body, which has presence and is counted at global level. Most of us believe that we are saving lives through our surgeries. While it is largely true, we should also remember that medical error is one of the leading causes of death, even in developed nations with a robust error prevention and reporting system. A recent report reveals that in USA, medical error is the third leading cause of death. We on the other hand lag behind severely in this area and have no organised system of preventing or recording of morbidity and mortality due to treatment errors. It is high time that we address this issue and improve outcomes and reduce preventable deaths by making surgery safe for patients. 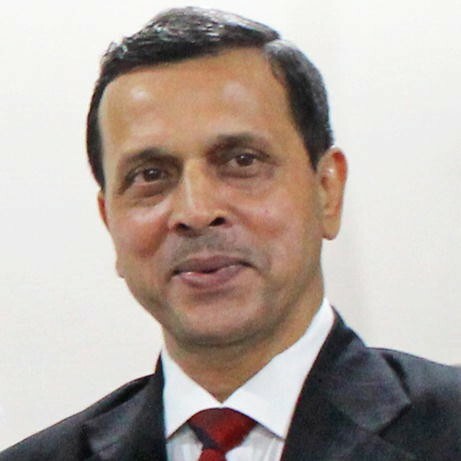 Project 6 (A) Social Security Scheme: already rolled out at national level. Project 6 (B) Professional Indemnity scheme: already rolled out at national level. Project 6 (C) Support for Members at city / district / national level. Project 7 Avoid Litigation and Violence: Popularise the 7 C Approach to patient care, i.e. Project 9 NABH level Standardisation of facilities and/or accreditation of all units owned by ASI members across the country. ASI to act as facilitator, to do away with need for consultants. While we all keep upgrading our skills during the course of our career, spending time with a colleague in your state who has excelled in certain area, may provide the best opportunity to learn the finer nuances as well as build a long lasting bond. In order to achieve this goal, National Skill Enhancement Programme (NSEP) has been proposed with the aim to identify centres of excellence in various disciplines (breast, hernia, thyroid, GI surgery, thoracic, vascular etc.) which will be utilised as regional centres for training and skills enhancement of our members through an ASI coordinated application process. This will allow the necessary skills to reach the periphery. Project 12 Standardisation of surgical training in various medical colleges/DNB centres across the country and development of exchange programs between different resource medical institutions for residents and faculty. Initially, for ten common surgical emergencies: India specific national guidelines and later on for elective procedures also. This exercise is already running with huge success for over 5 years now. We wish to improve it further by combining with skills workshops/video workshop/lectures in all the 5 zones: managed by ASI. We are living in a digital era, heading towards totally paperless future. We wish to incorporate this culture in our conferences as well as other activities. The website needs to become a strong medium of communication and information dissemination. Stop live workshops at ASICONs, virtual live workshop (unedited or partly edited videos with national/state representation). State chapter conferences also to phase out live workshops gradually in tune with the MCI requirements. Focus on academics with minimum pomp and show. Accounting to be made transparent and as per guidelines. Need to send out a clear message and publicise it. Incorporation of ASI’s VAPI Consensus Statement on “ethical surgical practice”. 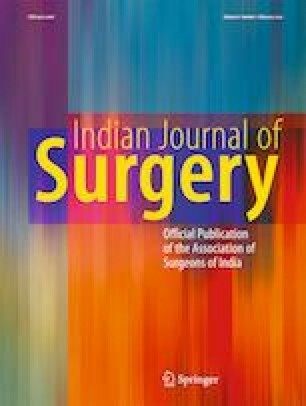 All members in various states to write regularly in leading newspapers about success and pitfalls of surgery. ASI leadership to address and interact with media frequently for image building. Strict control over ASICON as well as State Chapter meetings to avoid pomp and show/negative publicity and highlight the academic achievements of members. Explore the avenues to have “capping” of penalty money in consumer court cases. Recognition of surgeons as healthcare providers by government and insurance companies, fees to be based on a formula and transfer of money in a fixed time frame. Make maximum use of local resources including operating surgeons as there will be enough local talent available and would reduce the cost. Simple working breakfast and meals. Preferably more open surgical work and if needed laparoscopic work also. No banquet/fellowship during such programs as it takes away the impression what you are trying to create in the local mindset of people and media. We do not want them to make “Surgeons are having fun” kind of remarks. Advocacy for clean air: create public outrage against deteriorating air quality which is causing havoc to our health. Encourage ASI members to adopt a village each and work for upliftment of the population. ASI district/state chapters to coordinate and report to headquarter for presenting it at the national level. ASI to conduct nationwide awareness campaign on important issues like cancer, obesity, increasing incidence of road traffic accidents and against smoking and chewing tobacco use. Each of these projects have been assigned to a “project lead” who will prepare the awareness document, share it with members, encourage and ensure compliance in a time bound manner and evaluate and document post intervention improvement. Setting highest quality standards as a surgeon is our duty and an obligation. Above-mentioned missions and projects are designed to be steps in that direction. While we will strive to roll them out as early as possible, it is obvious that it will take time to see their effects in a vast country like ours. What is more important is to first acknowledge the need for driving such a change and then start taking the steps to ensure achievement of our targets. All these endeavours are directed to safe care which will lead to better outcomes which in turn will help thousands if not millions of lives. I take this opportunity to present this mission document through our prestigious Indian Journal of Surgery. I implore upon our esteemed members and most humbly request each one of you to join hands in this endeavour and help realise the long-cherished goal of taking ASI to a global level. Long Live ASI!